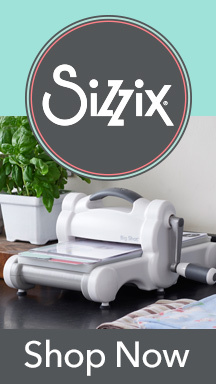 Disclaimer: Oriental Trading sent me product for review but all opinions are 100% my own. Since the tablescape is for lunch and not dinner it is more informal and you don’t need to make it so fancy, with that in mind I kept the table settings simple. 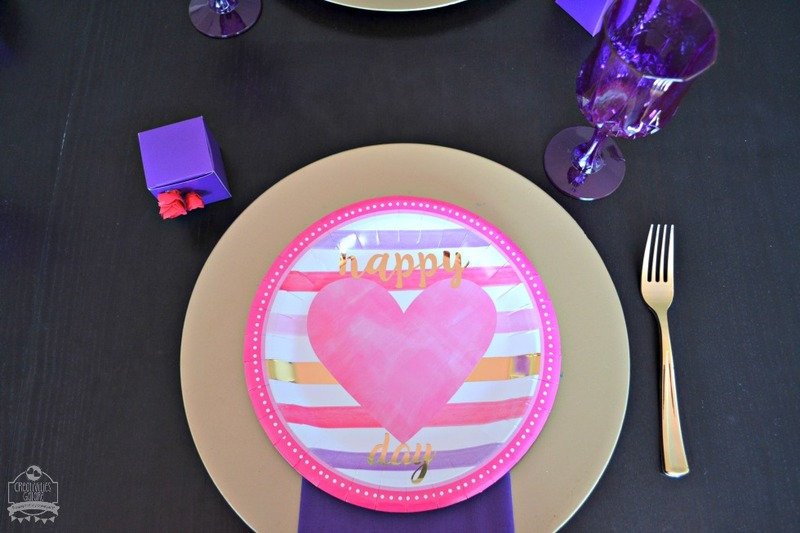 The galentine’s lunch tablescape has touches of the Pantone color of the year violet and I just love how it turned out. 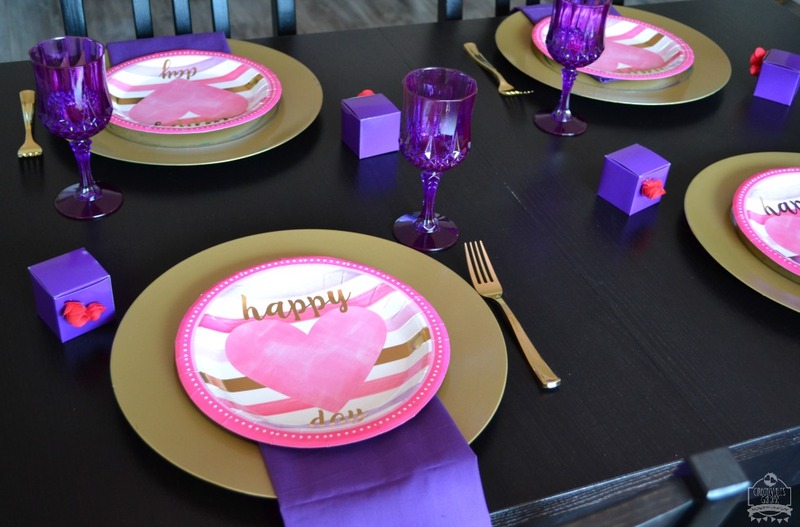 The table setting consisted of chargers that I bought at Michael’s on clearance and then I spray painted gold, the napkins were plain violet cloth napkins, and the plates were actually paper plates from the 99 cents store. 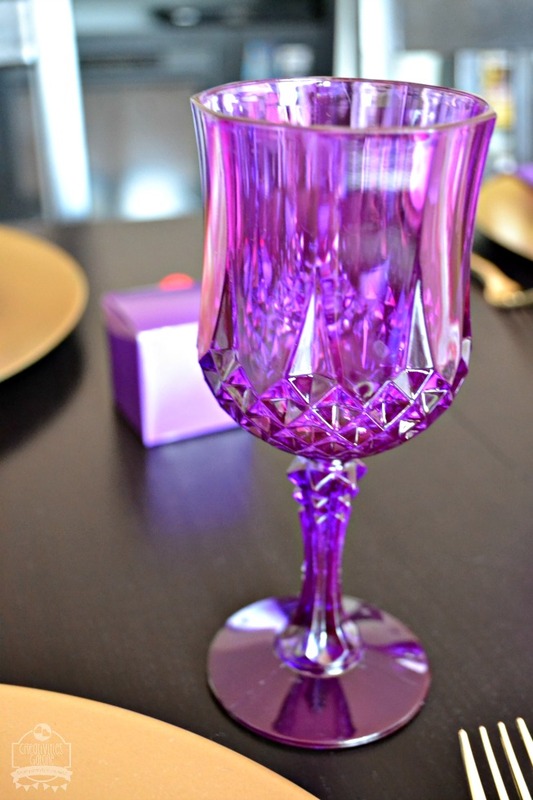 You may remember these violet water glasses from my New Year’s Eve tablescape and I am so glad that I got to use them again for this galentine’s lunch tablescape. I am so obsessed with them and I can’t wait to use them again in a future tablescape. The favor box was a mini violet box that contained some yummy chocolates. 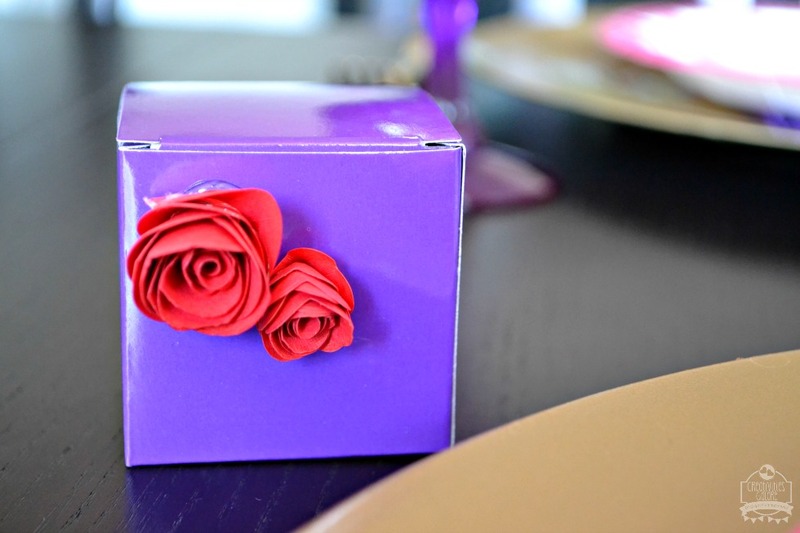 I decorated the box with some paper roses and I show you how easy it is to create here. That’s all there is to this galentine’s lunch tablescape, its a nice informal table but one that I am sure your friends will still love. I hope this table inspires you to throw your own galentine’s lunch for your best friends where you will all create more wonderful memories. In Galentine's, Tablescape, Valentine's Day. Bookmark the permalink.